To obtain a string to the file, you declare an object to be a member of the ifstream class and initialize it to the filename that you want to use. 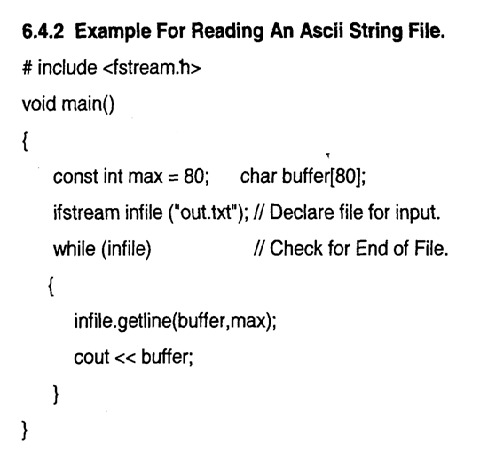 To read a string, you can use the istream member function getline(variable, length); This is illustrated in the example given below. To manipulate a file, character by character, you use the member functions put() for output to file or get() for input from file. 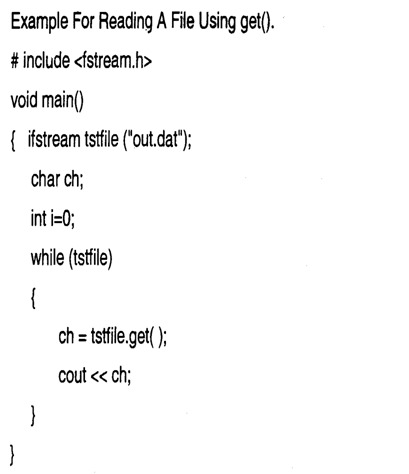 The ifstream objects have values that can be tested for various error conditions. If a condition is true, the object returns a zero value, otherwise it returns nonzero value. One of these conditions is the end of file (EOF). 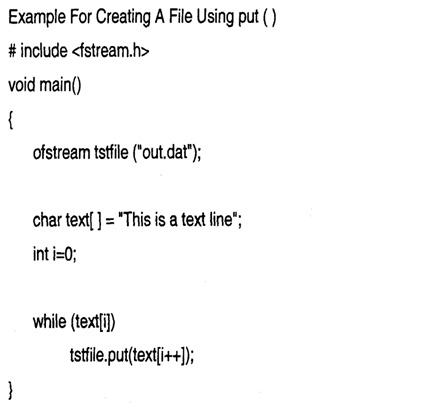 The above program checks for the end of file in a while loop.